Our English toffee is amde from brown sugar, sweet cream, creamy butter and milk and tastes amazing. This rich and deep flavour really satisfies and is a like-for-like for the real thing. Leaves a lush aftertaste on exhale. What Is English Toffee E Juice Like To Vape? 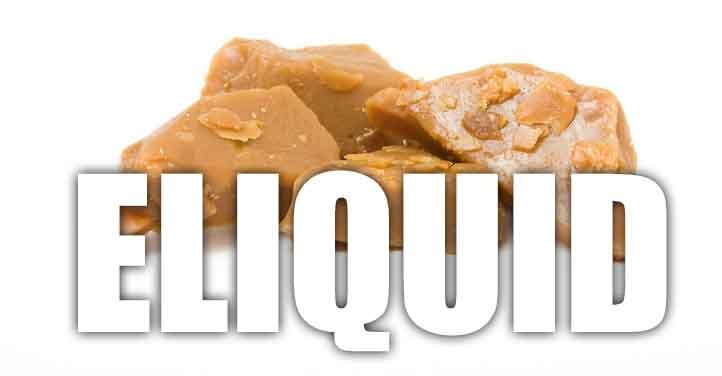 If you're a butterscotch or caramel fan then you will love our blend of english toffee ejuice. When you inhale a beautiful rich creaminess fills your mouth. You can taste the brown sugar, creamy milk and sweet butter roll over your tongue. Not as sweet as caramel but offering a richer and deeper toffee flavour that has the underpinning of the sweet cream butter making it a really smooth and lush vape. On exhale you can taste the flavour in full again and after you have exhaled you will have the pleasant english toffee aftertaste still in your mouth. At The Vape Shop all our sweet flavoured e liquids DO NOT contain: - Diacetyl, Acetoin, or Acetyl Propionyl, refined sugars, protein, genetically modified ingredients, animal ingredients of any kind, preservatives, sweeteners, or colours. Is Vaping English Toffee eJuice Vegan & Vegetarian Safe? When we blend our confectionery sweet e liquids we make sure they are gluten free and suitable for vegetarians, and vegans. You can rest assured when purchasing this e liquid flavour that it contains only the purest ingredients.